PICSE leverages on a very lean consortia composed by three partners: CERN (the PICSE Coordinator), the Cloud Security Alliance (CSA) and Trust-IT Services representing respectively a public research organisation, a not for profit organisation aimed to promote the use of the cloud computing best practices related to security assurance and to provide education on the use of cloud computing and an SME. CERN is the world’s largest particle physics lab and home of the Large Hadron Collider (LHC), the world’s most powerful accelerator providing research facilities for HEP researchers across the globe. LHC experiments will run up to 1 million computing tasks per day and generate around 15 petabytes of data per year over a 10‐15 year period. CERN leads the World‐wide LHC Computing Grid project (WLCG), to provide computing resource to store, distribute, analyse and access (in near real‐time) LHC data for a community of more than 10,000 physicists worldwide. CERN is the coordinator and one of the co-founder of the Helix Nebula initiative. 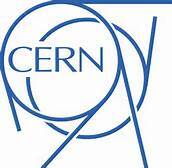 CERN will act as the PICSE coordinator and is the sponsor of the LHC flagship use case. The Cloud Security Alliance (CSA) is a not‐for‐profit, global organisation with a mission to promote the use of best practices for providing security assurance within cloud computing, and to provide education on the uses of cloud computing to help secure all other forms of computing. CSA is led by a broad coalition of industry practitioners, corporations, associations and other key stakeholders with 26,000 individual members, 100 corporate members and 50 chapters worldwide. CSA is part of the Helix Nebula project. CSA will bring to PICSE a specific focus on Security best practices able to remove barriers to cloud adoption and make the procurement of cloud services more effective and efficient for the heavily-regulated public sector. Trust-IT Services Ltd. is an SME with extensive experience in distributed computing, interoperability and standardization. Trust-IT has coordinated standardisation initiatives such as OGF-Europe and SIENA, co-authoring the SIENA Roadmap on Distributed Computing Infrastructure for e-Science and Beyond, a “reference document for standardization efforts” (Neelie Kroes, Vice President of the European Commission). In this context, Trust-IT played an instrumental role in driving synergies with NIST and in bringing to the same table all relevant standards groups to reach consensus on priority actions by focusing on the main challenges and charting possible paths to follow. Trust-IT is currently the Coordinator of CloudWATCH, (www.cloudwatchhub.eu) and member of Helix Nebula. 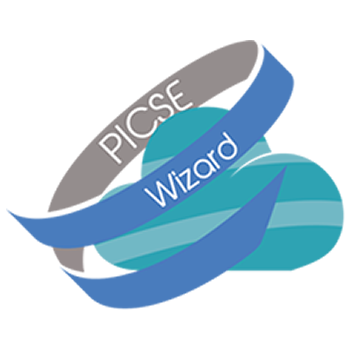 In PICSE TRUST-IT will lead the identification and analysis of a set of Case Studies that will be used for the development of the PICSE Procurement Model and the production of the Research Procurement Roadmap.